As a divorce mediator, I am keenly aware that many of my clients will enter into second (and sometimes third and fourth) marriages. In fact, the U.S. Census Bureau reports that, within five years of a divorce from a first spouse, a whopping one in five Americans says “I do” a second time. A two marriage record is OK . . . but a two-time personal divorce statistic is really hard to deal with for most people. Hopefully, whatever mistakes you made in your first marriage will not be repeated in your second attempt. If some of the problems in your first marriage had to do with money, this article will help you with essential and necessary ways of determining what you are getting into the second time around. Though it may be uncomfortable to do the investigation necessary to ensure “financial bliss,” successful remarriages need to start with openness, trust, and a mutual value system. If you are concerned about your financial future with your new bride or groom, you may need to open up your tax files as big as you open up your heart . . . it really should not be a problem. If it is, there’s your first warning that things might not be as perfect between you as you had thought. As an attorney and author who has written and lectured extensively about the tax aspects of marriage and divorce, I frequently receive questions from couples contemplating marriage. One of my standard recommendations is that they consider the tax consequences beforehand, especially when one of them or both of them are remarrying. My advice: Before they commit to a walk down the aisle, each should consider whether to ask the other for copies of tax returns. In my experience, it’s particularly important for women to do that. To illustrate how I would advise them, let’s say it’s going to be a second or third marriage for both John and Marsha—something that’s not uncommon nowadays, judging from the SundayStyles Section of the New York Times. Something else that’s no longer uncommon is that her holdings considerably exceed his. Possible reasons why she’s wealthier? Much-married and several-times-widowed Marsha inherited assets from her spouses; or a couple of divorces resulted in her receiving several sizable settlements; or she was one of the Facebook staffers who were enormously enriched by its IPO. Both Marsha and John are old enough for membership in AARP. Their ages matter because the divorce rate is extremely high for people over age 50—particularly for those who remarry. Mindful of those stats, Marsha had John assent to a prenuptial agreement (just as she did in advance of earlier marriages). What else might Marsha do? I counsel her to ask for copies of John’s federal and state returns. Depending on what they reveal, she might decide that it’s prudent to stay single or, if they do wed, to file separate returns. Following are summaries of scenarios I created that, albeit unromantic, are based on actual events. Fear of filing: It turns out that John hasn’t filed returns, something that’s common across all levels of society. It’s vital that Marsha know his potential liability for back taxes, penalties and interest. Also, he must specify when he will file returns and arrange for installment payments that will square him with federal and state tax agencies. My advice, should Marsha wed: She files separate returns and doesn’t mix her assets with his assets. Also, she asks John to fill her in on what other shoes might drop. A less troubling scenario that’s nonetheless problematic: While John has filed 1040s, he owes considerable amounts in back taxes, and interest charges continue to mount. Marsha’s tactics, assuming they wed: Again, file separately and not comingle assets until he has squared accounts with the IRS. There’s a snag if they file jointly and are due a refund; the IRS can apply the refund to his back taxes. John has filed returns and owes no back taxes: Marsha should still scrutinize certain deductions and other items on his returns. Let’s focus on some of the easier ones. Schedule C: John files a Schedule C for his dental practice. A cursory review of amounts entered for business receipts and expenses suggests he’s understating gross receipts and overstating expenses. Whereas dentists in his area typically claim expenses equal to about 50 percent of gross receipts, his expenses equal about 75 percent of gross receipts. A plausible explanation for the discrepancy is that John doesn’t deposit currency payments received from patients into the practice’s bank account, and he tells his accountant to use bank deposits to calculate gross receipts. Is John trying to pull one on the IRS? Schedule A: Line 4 shows he claims hefty itemized deductions for medical expenses (allowable to most persons only for the part above 10 percent of adjusted gross income). Deductions could be easily explained as attributable to payments for insurance premiums and expenses usually not covered by insurance—for instance, dental work, hearing aids, glasses, medically required home improvements or private duty nurses. Or the reason for substantial write-offs might be that, like Tony Soprano, John sees a shrink several times a week. Not to imply that there’s anything wrong with those visits; still—like the restorative powers of chicken soup—it can’t hurt and might help for Marsha to determine how much John has in common with Tony or, worse yet, Norman Bates. Donations: John’s a chintzy contributor, whereas Marsha is a generous giver. This may not be a deal breaker, but they should discuss charitable donations before marriage. Withholding: Each year, John receives big refunds, deliberately as a form of forced savings or simply by neglecting to claim enough exemptions on his W-4. But interest-free loans to the IRS are anathema for someone like Marsha, who meticulously monitors her withholding from wages and outlays for estimated payments. Her returns may show small balances due. It’s preferable that they discuss before marriage how they’ll handle withholding. In the midst of all these thorns, there are some roses. Assume John has a substantial capital loss carry forward and no unrealized capital gains. At $3,000 a year, it will take many years to use up John’s carry forward. She, however, has a substantial unrealized capital gain. Marriage means Marsha can realize the gain and offset it against John’s carry forward. Similarly, suppose he operates a business that’s unprofitable. He has a hefty net operating loss carry forward; but not enough other income to absorb the carry forward. Marsha has sizable income. Marriage enables him to apply his carry forward against her income. Everyone knows it is costly to raise kids today. Their electronic gadgets alone are off the charts. 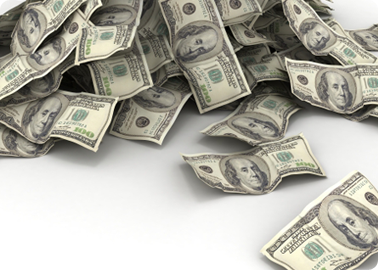 We all know that the costs add up, but have you ever totaled them all? According to an article in KidsPost, by Tracy Grant, using numbers from a 2010 report, the total cost from birth to age 17 is $226,920. Even adjusted for inflation, that is a $41,064 increase since 1960! Ms. Grant points out, too, that big kids (15-17 year olds) cost approximately $2,000 more per year than their younger counterparts. Child care costs. 67% of mothers now work, compared to 33% in 1960. Healthcare, too, has gone through the roof. Save a few bucks. How about a thousand bucks? All of those extra items that you toss in the shopping cart, thinking it is no big deal, turn out to be a big deal. According to Ms. Grant, those books, toys, movies, etc., add up to about $1,100 per year! 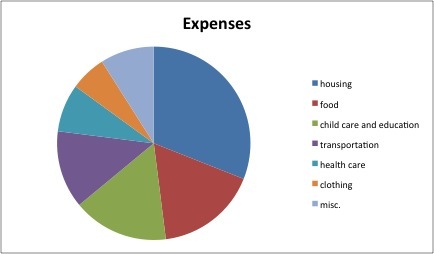 It is worth noting that most of the largest expenses for kids are shared with their parents, such as housing and food. Therefore, if you are looking to save money, or simply spend less, you will need to consider both your mega-expenses as well as all of the little ones that add up.